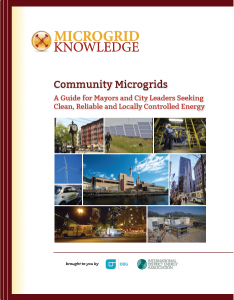 The following is an excerpt from Community Microgrids, A Guide for Mayors and City Leaders Seeking Clean, Reliable and Locally Controlled Energy, the latest guide in EnergyEfficiencyMarkets.com’s Think Microgrid series. Jamestown, New York, offers a good example of a community microgrid design that begins by incorporating existing energy facilities, a strategy that can decrease project complexity and cost. Rather than building all new infrastructure, the city has proposed a microgrid that will use an existing natural gas-fired power plant and district energy system. “Jamestown has a municipal utility with a long history of employing local energy. 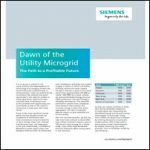 By intelligently leveraging these assets—both power and thermal energy—the city is now just a few short steps away from establishing a community microgrid. We have seen many concepts, but this community is within striking distance,” said Darek Letkiewicz of OBG, whose engineering team assisted the Jamestown Board of Public Utilities (JBPU) in applying for NY Prize funds to develop the project. The Jamestown proposal won $100,000 of initial funding in the NY Prize competition in early July. Established in 1923, JBPU is one of the oldest municipal power systems in the United States and one of the largest municipal utilities in New York. A focal point of the system is the Carlson Station, a natural gas-fired power plant that is over 100 years old and has been expanded and upgraded several times. A community microgrid is especially important to the city, given that it is in western New York, where severe winter storms are not unusual. JBPU customers have experienced several outages caused by failures on a National Grid 115-kV electrical transmission system that connects to the municipal utility. The Jamestown Microgrid will use the power generation equipment located at the Carlson Station, along with an onsite 35kV/15kV electrical distribution substation. The equipment will power underground electrical distribution circuitry. “The system will ensure a high level of utility service reliability in the core area of downtown Jamestown, independent of the grid,” said Letkiewicz. Since the core only consumes 9 MW—and the Carlson station offers 43 MW—the microgrid also will be able to serve buildings and residences beyond the core. When completed, the Jamestown facility can serve as a model for other communities where relatively minor changes can bring microgrid capabilities to existing infrastructure.